It is one of the worst nightmares that the parent of a teenager can imagine. But knowledge is power and power may save your child's life. 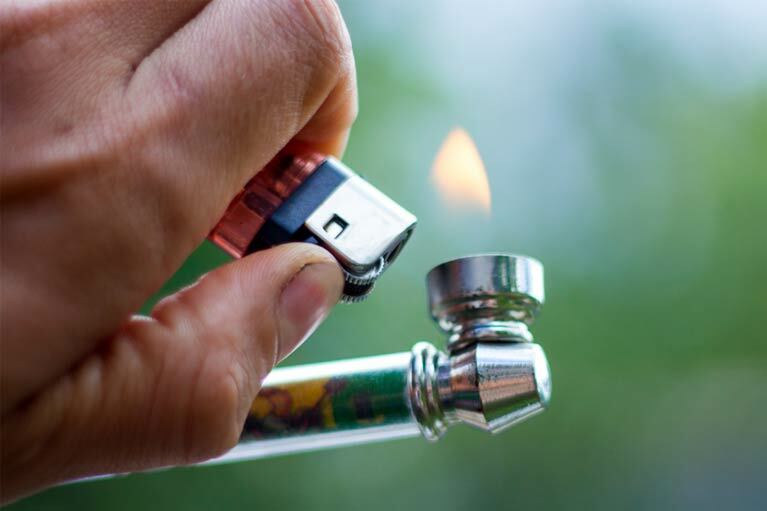 A critical part of understanding teen drug use is awareness of drug paraphernalia, or the items that your child might be using to consume drugs. Unfortunately, the internet gives teens more and more effective ways to conceal their drug use and potentially lethal behaviors. The mental health professionals at Pinnacle Behavioral Health have spent decades working with troubled teens and are willing to give parents a crash course on signs of drug use. Aside from poor grades, a change of friends, weight loss or weight gain, depression, anxiety, isolation, etc., your child may be leaving behind tangible clues to their drug use. 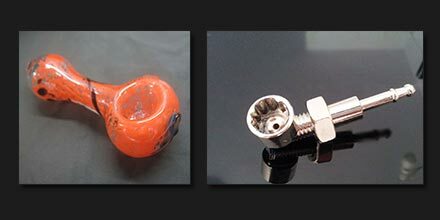 Pipes and bowls, either store bought or homemade devices, are considered the most common type of paraphernalia. Pipes, bowls and bongs are used to smoke marijuana, hash, cocaine, crack and heroin. These devices come in many different shapes and sizes. Bongs may include chambers to hold water. Also used to smoke marijuana are rolling papers, cigars used to fill with pot to make a blunt, metal roach clips and E-Cigarettes to smoke marijuana concentrates. 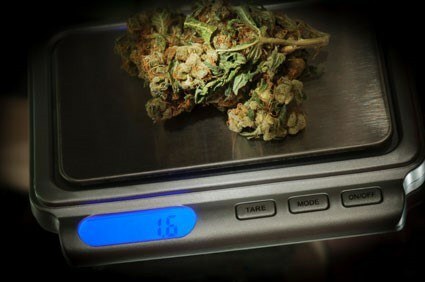 Unless your child is a member of Weight Watchers, possession of portable scales is a very likely signs that he or she is using drugs since most are weighed before being sold. Digital scales are usually about the size of a smartphone and might even be designed to resemble a cell phone as a means of camouflage. The small, sandwich-sized baggies found in any grocery store are commonly used as a container for various illicit drugs, including marijuana, cocaine, crack cocaine, heroin, prescription painkillers, and many other substances. If your teenager has empty baggies in their room or pockets, they are likely using them to transport drugs. Also commonly used is the corner of a baggie which can be concealed and discarded easily. Cocaine can be used in powder form by snorting or freebased. Freebasing requires the drug to be a solid so that it can be placed on a piece of foil, and heated from the underside of the foil. The user inhales the smoke as it begins to heat. If your child is freebasing drugs, you will likely find small pieces of aluminum foil and multiple lighters in their room, vehicle or pockets. The foil will be charred from the flame of a lighter. Drugs in powdered form or those that can be crushed into powdered form require certain tools for the user to ingest them. Look for credit cards, gift cards, or other types of cards that are used to crush or chop drugs; mirrors or other reflective surfaces on which the drugs can be prepared for consumption, and straws that are used to inhale the drug. Most agree that intravenous drug use is the most dangerous routes of administration as it makes individuals more vulnerable to blood-borne illnesses that can be contracted from others; and the inability to measure the strength of a particular drug until after it is injected. Two tools that are essential to intravenous drug users are hypodermic syringes and spoons. If your household spoons are missing or if you discover mysterious spoons in your child’s possession, please take immediate action to stop this dangerous behavior. 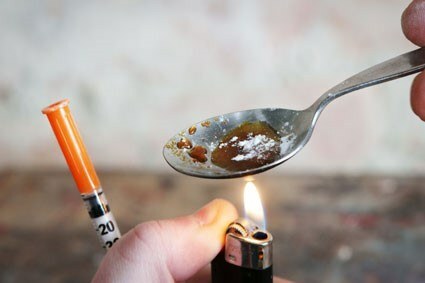 Spoons provide a contained surface on which one can prepare the drug solution which is loaded into the syringe and often filtered by cotton (usually pieces of cotton swabs are used for filters but cigarette filters may also be used.) Once loaded into the syringe, the drug is injected into the bloodstream. In most cases, the underside of the spoon will be charred from repeated exposure to the flame of a lighter since applying heat to the drug solution is often part of the process. Shoe laces or belts might be used as tourniquets. These may be knotted in many places and found in places other than their intended use. Indicators of heroin use also include tin foil, plastic pen cases or cut drinking straws. Users of crack cocaine and crystal meth commonly use small glass tubes and steel wool to smoke their drugs. You may have noticed miniaturized fake roses in pencil-sized glass tubes sold at convenient stores. This is an inexpensive and readily available tool to smoke crack cocaine or crystal meth. Small pieces of steel wool or copper scouring pads are used stuff into one end of the glass tube. The heavy copper or stainless steel scouring pad, without soap, serves as a reduction base and flow modulator in which the crack cocaine “rock” can be melted and boiled to vapor. If finding the glass tube isn’t evidence enough for you, look for black char on one end of the pipe. This is evidence of the flame used to produce the smoke that is inhaled. Sometimes, instead of a crack pipe, smokers will use a soda can with small holes drilled in the bottom. The bottom of small glass liquor bottles can be removed, and the bottle neck can then be stuffed with chore to use as a makeshift crack pipe. 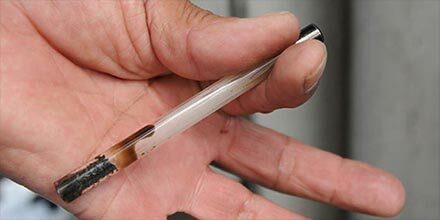 Another method to smoke crack is to use a “smokeless cigarette” which is paper covered tube that can be emptied and repacked with crack cocaine. Clues that your child may be using inhalants are bottles or aerosol cans, rags for sniffing, tubes of glue, balloons, nozzles including small straws that should be attached to air dusters. Since this is an ever evolving trend, our mental health professionals will update this list as often as possible. 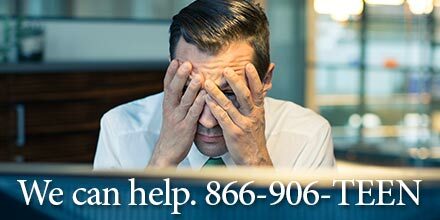 Please feel free to share your experiences by calling our administrative offices at 866-906-8336 or complete the contact form on this page.